I and Jennifer Englund, LT PhD students, presented at the October 2016 Association for Educational Communications and Technology (AECT) International Convention in Las Vegas, Nevada. The annual event draws over 1,000 educators, graduate students, and industry professionals whose activities are directed toward improving instruction through technology. I presented a research paper co-authored with Dr. Scharber, titled “Examining an Instructor’s Online Interaction and Participation in a Ning Online Discussion Forum”, in 2016 AECT International Convention in Las Vegas, NV. The interactive slides of this paper can be found at: http://rpubs.com/fanouyang/aect2016. Jennifer, I, and two other AECT PhD students presented as panelists in a moderated panel session entitled “Debating an increase in ALT-AC positions in the university and their impact on AECT student lives.” The session sought to offer facts, myths, and personal experiences about alternative academic positions and engage participants in discussion about how graduate students are navigating the changing hiring and career landscape in higher education. 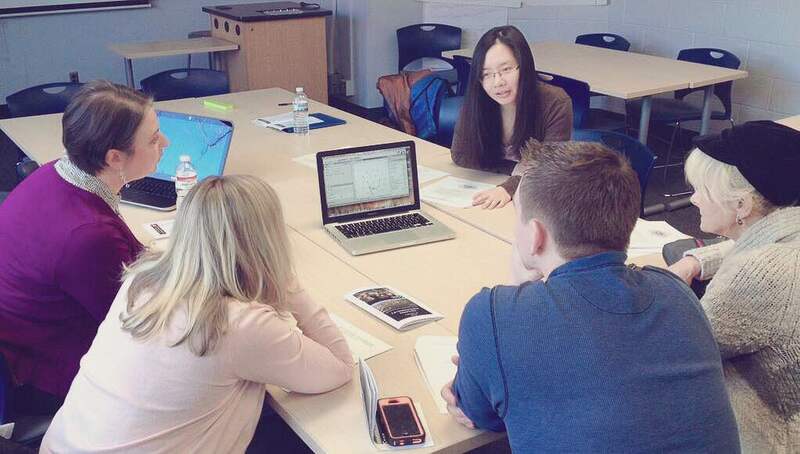 On Jan 21, 2016, in our department, we presented our current research project that explores learning settings that position urban youth as knowledge producers and meaning-makers through the use of technologies. I had so much fun working, and presenting with our department chair Dr. Cynthia Lewis, my co-advisor Dr. Cassie Scharber, and my colleagues Dr. Debra Ingram, Dr. Yolanda Majors, Anne Crampton, Nick Ross, and Maggie Struck. I presented with Dr. Angel Pazurek at 2015 International Convention of the Association for Educational Communications & Technology, which was held in Indianapolis, Indiana, from November 3-5, 2015. 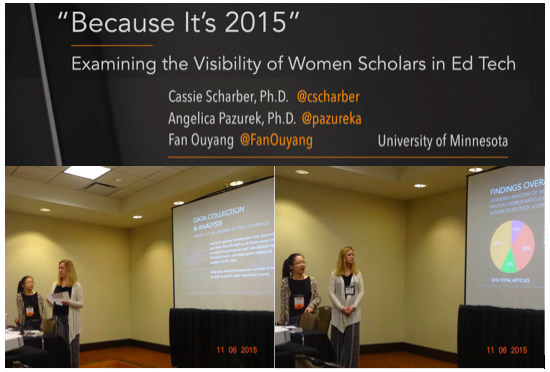 This is a research on “Examining the Visibility of Women Scholars in Ed Tech” (Scharber, Pazurek, & Ouyang). We examined the journal publication rates in six leading ET journals from 2004-2013 through a gender lens. 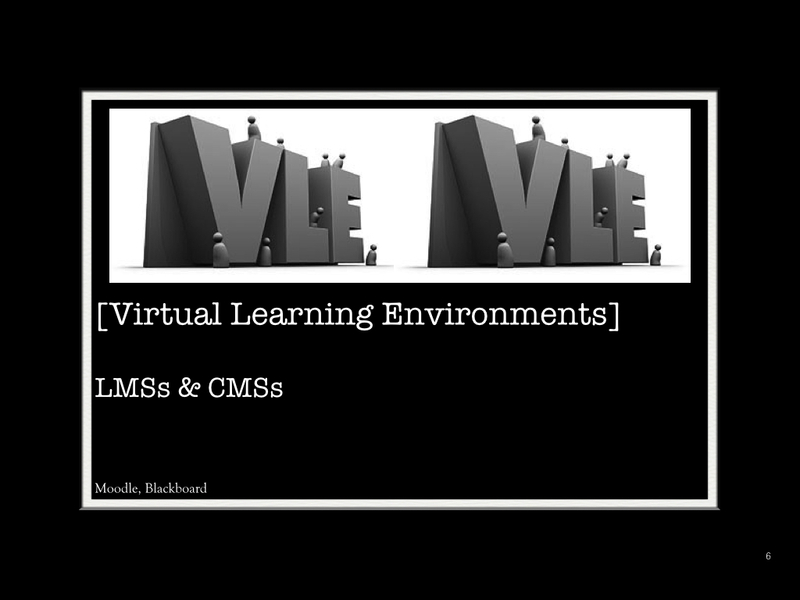 I virtually presented two full papers in EDULEARN15. 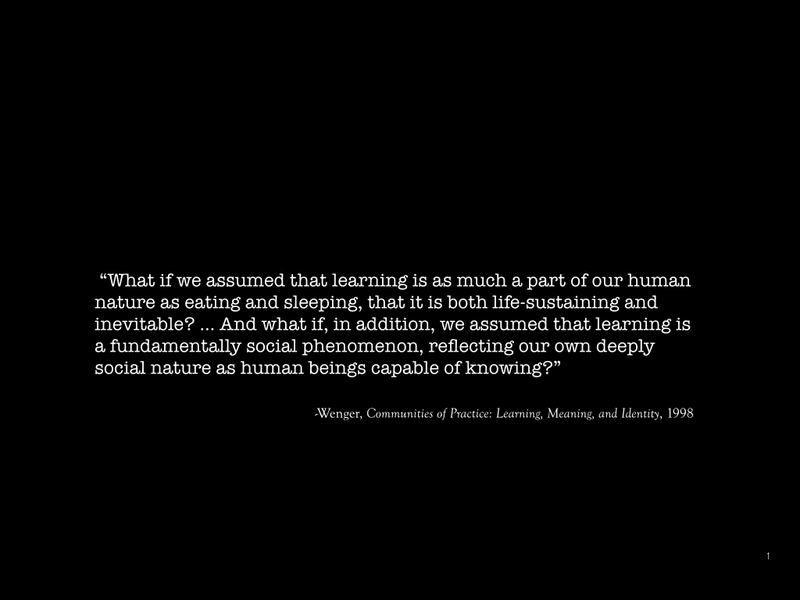 It is 7th International Conference on Education and New Learning Technologies at Barcelona, 6th – 8th of July 2015. Hope I could make my way to Europe someday. Ouyang, F. (2015). 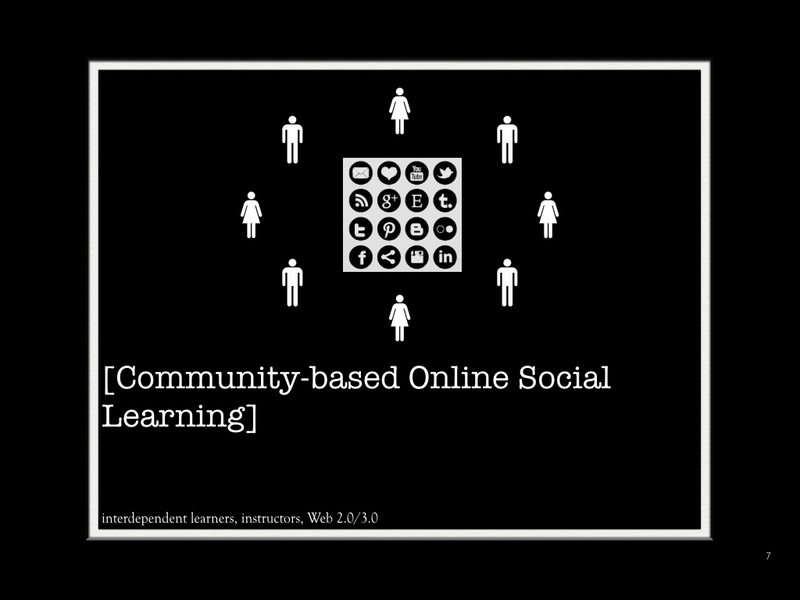 Explore the Potentials of Applying Social Learning Analytics to Understand and Students’ Learning Experiences in a Ning-based Online Learning Community. EDULEARN15 Proceedings, 6832-6838. Ouyang, F. (2015). 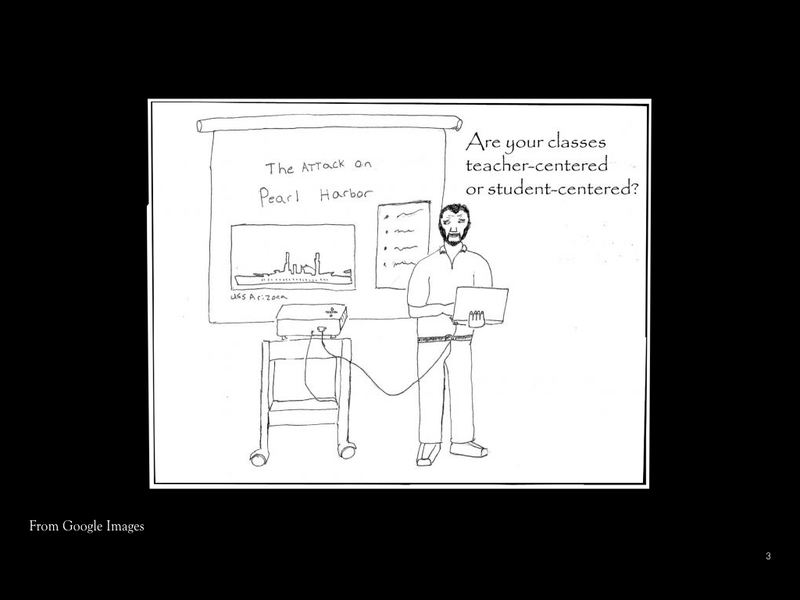 The Design of a Completely Online Undergraduate-level Course and the Application of Technological Pedagogical Content Knowledge in the Online Course. 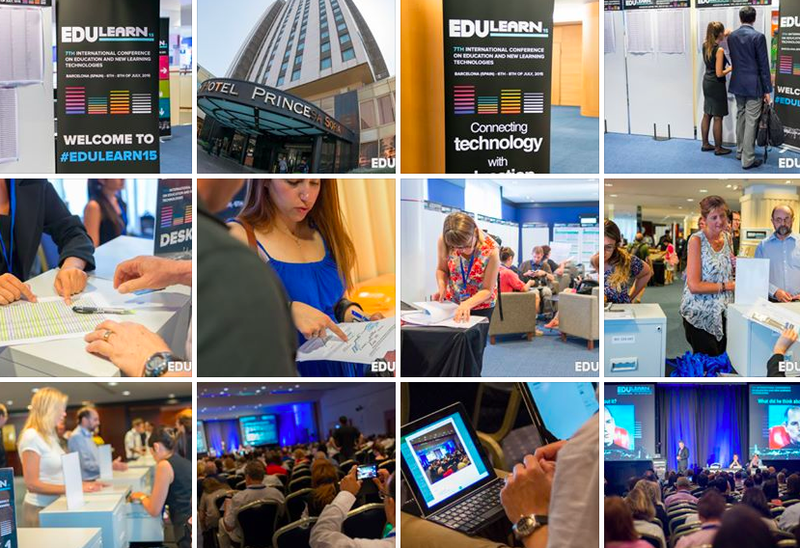 EDULEARN15 Proceedings, 6839-6846. 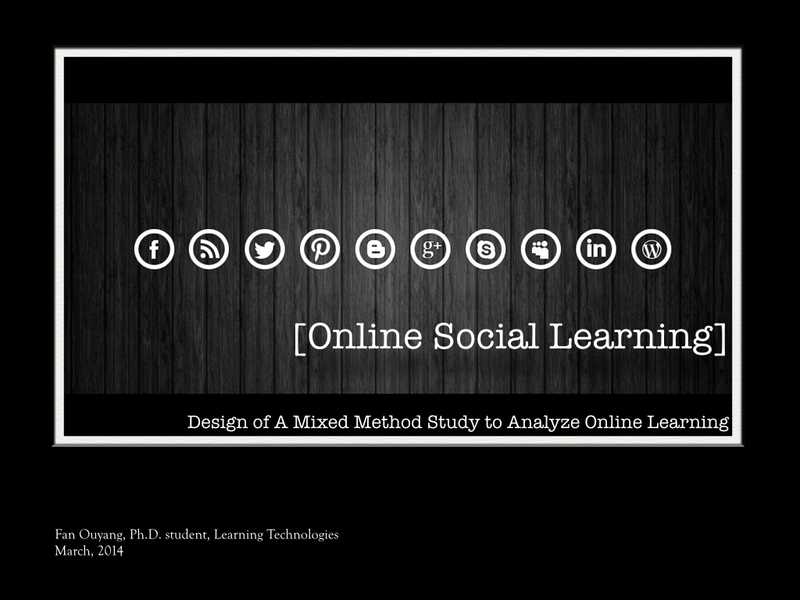 I presented my paper “Design of a mixed method study to analyze online social learning” at the 2014 C&I Graduate Student Research Day, Minneapolis, MN at March, 2014. 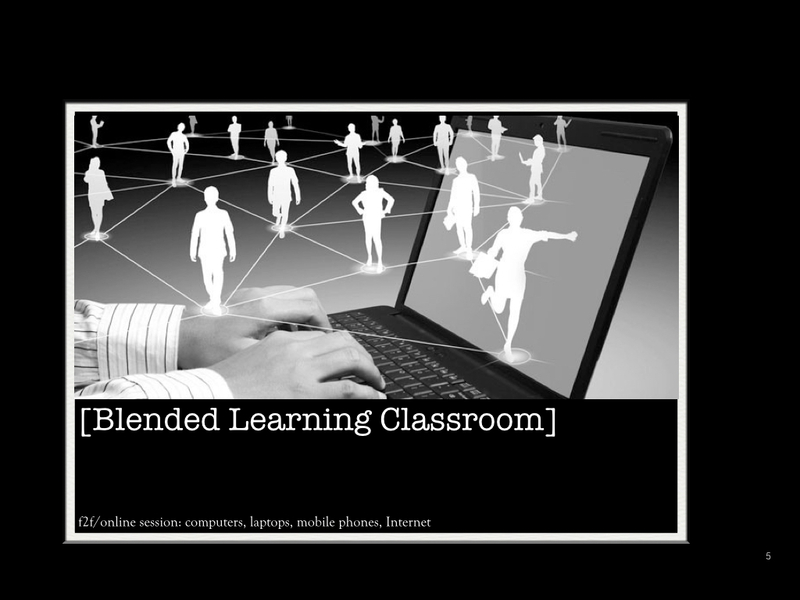 A part of my slides are shown below. I met Dr. Penina Lam in Ed media 2015 conference in Montreal, Canada. She is the CEO of eLearning Innovators, Inc. She hosts the eLearning innovations conference for three years. 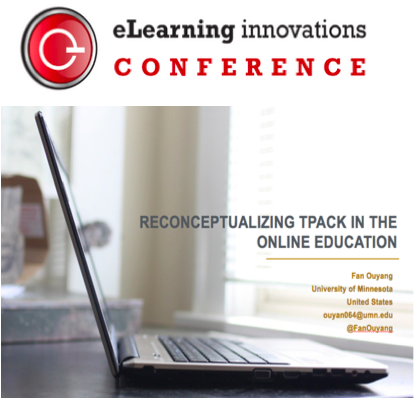 It is my honor to virtually present in 3rd Annual eLearning Innovations eConference on the topic of “Reconceptualizing TPACK in the online education” in September, 2015. Dr. Penina Lam owns an educational technology company, she published her book, and hosts international conferences. 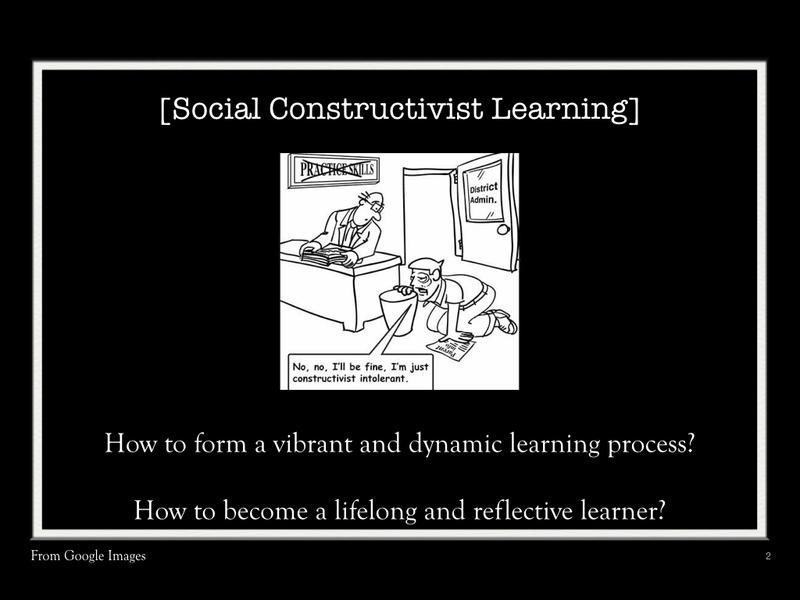 Her work reminds me of my dream: a multiple career on educational research + consulting + online education. I presented in a round table format on my paper “Design of a qualitative case study to explore an experienced online instructor’s TPACK application in a Ning-based online course” in the 2015 C&I Graduate Student Research Day, at Minneapolis, MN in 2015, March. I also organized and served on the research day committee this year.